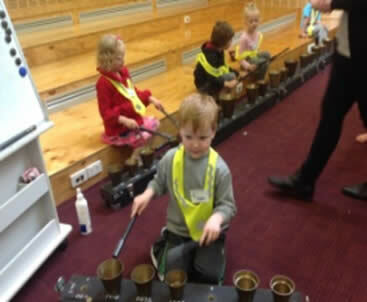 A Children's Week activity held on 23rd October 2014 @ Monbulk Primary School Arts Centre. 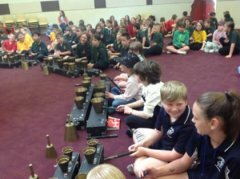 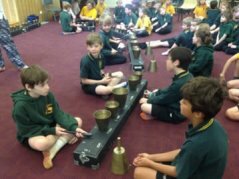 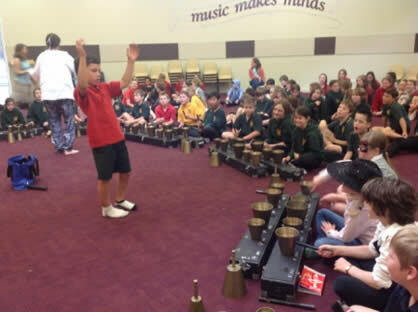 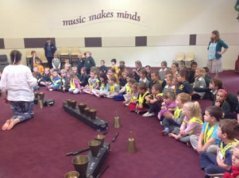 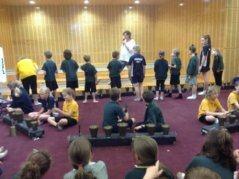 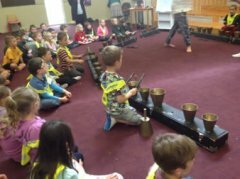 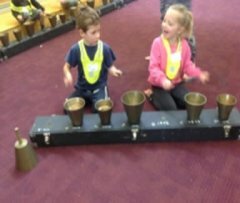 Four hundred pre-school to grade 6 students from Monbulk, Yering, Tecoma Primary Schools and Monbulk Pre-School enjoyed hands on creative workshops exploring dynamics and composition and also hearing the Nellie Melba story and the Bells of Peace story. The reactions from the children of the handbells varied enormously. Some students were very excited experimenting with sounds while the prep and pre-school children were mesmerized by them. Workshop leader, Carolyn McAlister introduced the children to the role that the bells will play in the DRMC Anzac Centenary Project in 2015 and taught the children the chorus of the newly commissioned work: The Brown Slouch Hat by Brian Hogg. 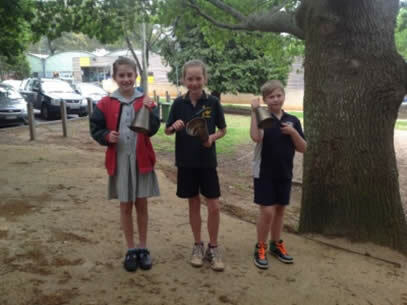 The bells are now placed at Kallista Primary School, Monbulk and Mt Evelyn Primary School. Approximately 50 observers also attended throughout the day during the workshop sessions.